Sorry for not being around this month to vote! Having read some other co-written books, I had been expecting something a little more seamless. Hopefully the next book in this series is a bit better, as I always give leeway to first books in a series--they are usually pretty rocky until the author(s) can figure out what they're doing. Oh, that sounds like a strange way to write a book and I am not sure how I would do with that. To bad it didn't work with you. It definitely was a bit more awkward than I'd been hoping. 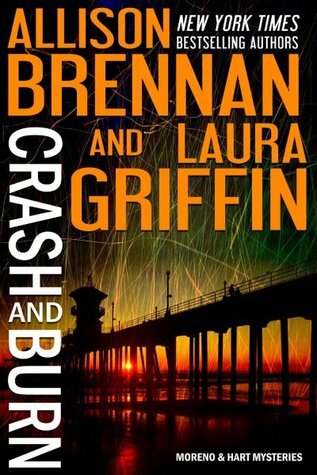 I'm mainly disappointed because Laura Griffin's part of the book was disappointing. I hope the next book in this series is a bit better. Sorry this wasn't that great for you. I hope the next book is better! Great review!